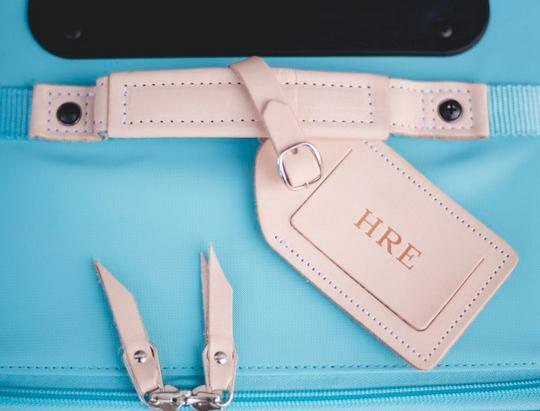 Jon Hart Personalized Rolling Carry On BagTravel in Style with our Monogrammed Canvas Carry On Wheels. 16 Canvas colors and leather handles, monogram tab and zipper trim. Personalize with heat stamp or foiling process in either silver or gold foil. Monogram is all caps (JHO), three letter traditional with last name larger in the middle or text up to 11 characters (Beth Hill). Made to last it has a PVC Honeycomb Frame, recessed inline ball bearing wheels and retractable comfort grip handle system. Lockable zippers on exterior pockets. Fits in most airline overhead bins. 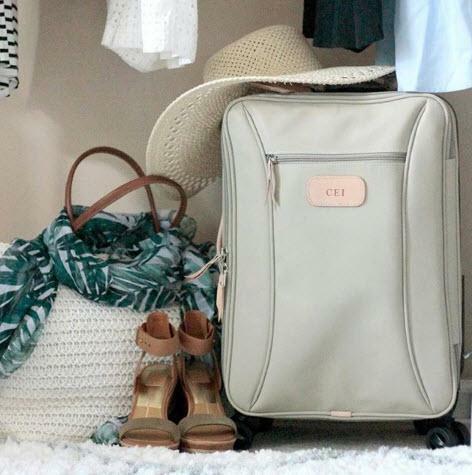 This carry on is Sized: 22h x 14w x 9d. 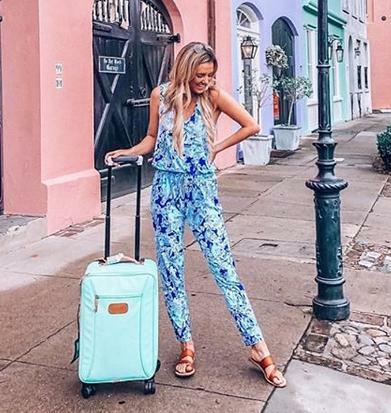 We have all other matching pieces like toiletry and makeup cases, duffels, and totes to make a complete gift set for your new graduate or newlywed. Price: $485.00 In stock! - Browse this brand: Jon Hart DesignOur products are custom made to your specifications. This product ships up to 4 weeks after your order is placed.